Hugo E. Martinez is a retired medical doctor and a general authority in The Church of Jesus Christ of Latter-day Saints. 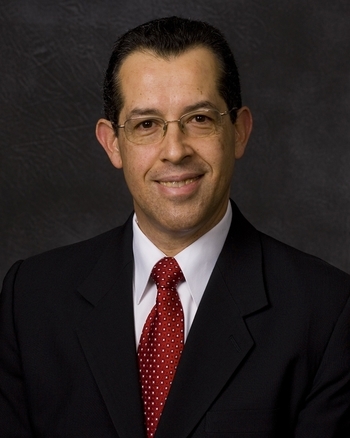 He is the first general authority from Puerto Rico and the Caribbean. Martinez worked in Puerto Rico as a physician and medical consultant until he retired in 2004. He was a faculty member at the Family Medicine Residency of the Dr. Alejandro Otero Lopez Hospital from 1984 to 1995. He was medical director for MMM Healthcare, Inc. from 2001 to 2003. He has served in such Church callings as bishop, stake presidency counselor, district president, and a counselor in the Puerto Rico San Juan Mission presidency. He served as president of the Guatemala City Central Mission. At the time of his call to the Second Quorum of the Seventy, he was serving as an Area Seventy in the Caribbean Area. He continues to serve his community as staff support to the “Coro de Campanas Jóvenes de Sión” handbell choir. During the 184th Semiannual General Conference Sunday afternoon session, Elder Martinez spoke in his native language, Spanish, while listeners in the Conference Center saw English subtitles, and television viewers heard an English translation. This format was unprecedented. Martinez is married to Nuria Merced Alvarez Pagan and they are the parents of five children. This page was last edited on 5 October 2014, at 15:17.